PARIS (Bloomberg) -- Renault sold 3 percent more cars last year on surging demand for the automaker's no-frills Dacia brand. Group 2013 deliveries rose to 2.63 million cars and light commercial vehicles from 2.55 million a year earlier, the company said today in a statement. Dacia sales soared 19 percent. Renault CEO Carlos Ghosn is focusing on boosting deliveries in emerging economies and has predicted "tremendous growth" in the entry-level segment that is Dacia's focus. Markets outside Europe accounted for half of the company's 2013 sales. Renault is building plants in expanding regions and developing more vehicles with Japanese alliance partner Nissan Motor Co. to reduce costs with common components. Renault's entry-level vehicle sales accounted for 41 percent of group deliveries last year, up from 37 percent in 2012, said Francois Rouget, a company spokesman. Industrywide European car registrations surged 13 percent in December, the biggest jump in almost four years, with the strongest growth at Renault, Ford Motor Co. and regional sales leader Volkswagen Group, the ACEA trade group said on Jan. 16. Even so, full-year deliveries in Europe declined a sixth consecutive year to a 19-year low. Renault and larger French competitor PSA/Peugeot-Citroen were together among the top three car discounters in Germany throughout 2013, according to German industry publication Autohaus PulsSchlag. Renault forecast today that industrywide demand in France and across Europe will increase 1 percent in 2014, with deliveries worldwide advancing 2 percent. VW, Peugeot and Renault, Europe's largest carmakers, are all seeking more customers in China, the world's biggest auto market, to make up for a lack of growth in their home region. 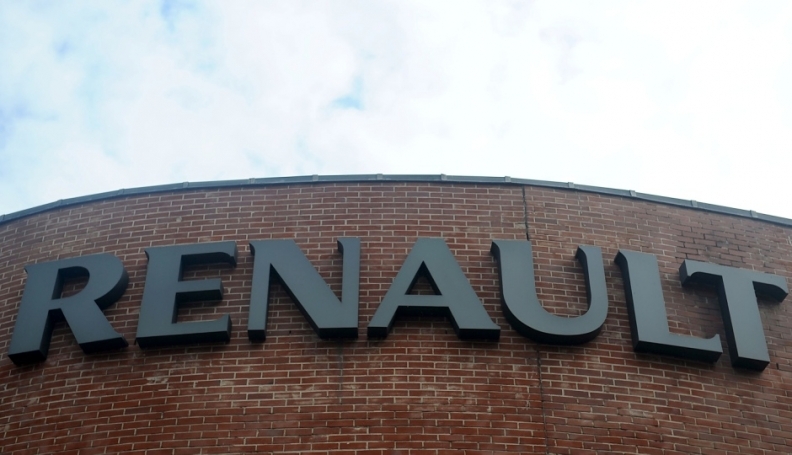 Renault signed a joint-venture agreement in December to build an SUV factory with Wuhan-based Dongfeng Motor Group Co. Ghosn said at the time that Nissan, which already works with Dongfeng, will also cooperate in the project to reduce costs. Demand in China contributed to a 4 percent gain in fourth-quarter global deliveries at PSA, though the company's full-year sales declined 5 percent to 2.82 million vehicles. VW Group delivered more than 9.7 million vehicles worldwide last year, including heavy trucks and buses. It outsold U.S. competitor General Motors Co. in China in 2013 for the first time in nine years. Ghosn reorganized management last year following the departure of Chief Operating Officer Carlos Tavares, who is set to become PSA's CEO. The operating chief's position was abolished, with Thierry Bollore taking the newly created position of chief competitive officer and Stoll taking the performance post, also a new role at the company.